If you are a fan of the Reality TV Show "R&B Divas ATL" than you may find this interesting. From what I have gathered, and all I can comprehend out of this alledged story is, Angie you are too mature for this mess, also be careful when you decide to open your life up to cameras, it can become disastrous! Wish you well Ms. Stone, been a listener of your music for a minute now. Hope you find peace of mind and a good man! SIDEBAR: Wendy is messy messy messy. When will folks learn, she don't give a Damn! 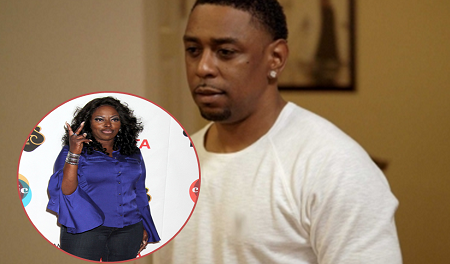 "R&B Divas ATL " star Angie Stone is accusing her longtime boyfriend/manager Ashanti Graves of cheating with a "R&B Divas staffer! . The BIGGEST scandal concerning the R&B Divas Atlanta wasn't caught on film. According to sources close to Angie Stone, she is accusing her boyfriend/manager Ashanti Graves (who appeared on the show with her) of having an affair with a member of the R&B Divas production crew. Perhaps this explains why Angie was on edge during the reunion show? !